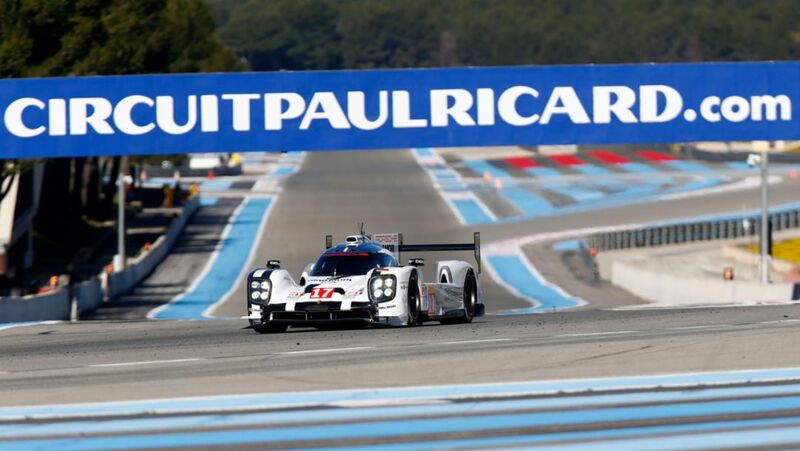 After Thursday’s presentation of the new Porsche 919 Hybrid, the Porsche Team enjoyed productive testing at the Prologue to the 2015 FIA World Endurance Championship (WEC) in Paul Ricard, covering 4,188 kilometres in total. At the presentation of the new prototype, Porsche announced the switch to the highest energy recovery category of 8 megajoule. No other manufacturer has done that before. Furthermore a three-colour concept for Le Mans had been unveiled. At this race Porsche will start with a white, a red and a black 919 Hybrid. At the other seven World Championship rounds all the cars will be white. At the two-day Prologue, which has established itself as a joint test and fan event to kick off the season, the two works driver trios were on duty: Timo Bernhard (GER), Brendon Hartley (NZ) and Mark Webber (AUS), as well as Romain Dumas (FRA), Neel Jani (CH) and Marc Lieb (GER). After every session a Porsche 919 Hybrid was on top of the time sheets. Neel Jani set the overall fastest lap time of the Prologue in 1.37,220 minutes on Friday night. The Porsche teams are well equipped to tackle the season-opening of the Sports Car World Endurance Championship WEC on 12 April in Silverstone. The two Porsche 911 RSR of the Porsche Manthey team as well as both 911 RSR fielded by Dempsey Proton Racing and Abu Dhabi Proton Racing completed extensive tests without any problems. 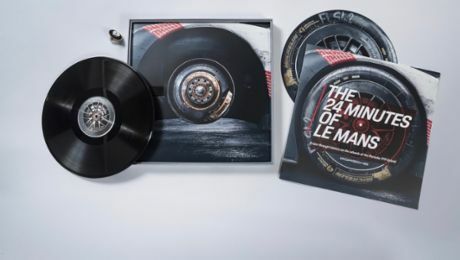 Turning 433 laps on the 5.971 kilometre circuit, the two nine-eleven of the Porsche Manthey squad covered the greatest distance of all GTE-Pro vehicles. At the final test before the season kicks off on the storied British race track, on which Porsche clinched a double victory in the GTE-Pro class last year, all six factory pilots scheduled to tackle the WEC for Porsche Manthey took part. Michael Christensen (Denmark) and Richard Lietz (Austria) share driving duties in the #91 Porsche 911 RSR with Jörg Bergmeister (Germany) who will support them as the third driver at the Le Mans 24 Hours. Frenchmen Frédéric Makowiecki and Patrick Pilet contest the season in the 911 RSR with the starting number 92, with Wolf Henzler (Germany) as their third driver for Le Mans. Also at Le Castellet was Porsche Junior Sven Müller (Germany), who turned his first laps here with the 911 RSR. As last year’s best newcomer in the Porsche Carrera Cup Deutschland, Müller will make his debut in the Sports Car World Endurance Championship WEC at round two of the season in Spa-Francorchamps on 2 May. Following tradition, the Circuit Paul Ricard was open for spectators on Saturday. Over 10,000 fans visited the track in beautiful spring weather to watch the WEC field during testing. Again on day two, the Porsche 911 RSR clocked up consistently fast lap times. The 470 hp winning racer from Weissach, which is based on the seventh generation of the iconic 911 sports car and is characterised by a consequent lightweight design and sophisticated aerodynamics, underwent modifications over the winter months. The revamped aerodynamics at the front and the adapted chassis kinematics ensure enhanced balance and improved control at its handling limits. Thanks to minor tweaks, the reliability of the drivetrain was further improved. Single point refuelling proved effective in Le Castellet. The refuelling system utilises one hose for both filling and venting, leaving only one refueller to work on the car. This contributes significantly to additional safety in the pit lane. Taking part in the Le Castellet tests at the wheel of the 911 RSR run by Abu Dhabi Proton Racing, which also contests the GTE-Am class, were Christian Ried (Germany), Khaled Al Qubaisi (Abu Dhabi) and the former Porsche Junior Klaus Bachler (Austria).